Electricity generated by renewable sources such as offshore wind or tidal power could power a motor that generates compressed air, researchers at Edinburgh and Strathclyde Universities in Scotland have suggested. This air could be stored at high-pressure in pores found in sandstone, using a deep well drilled into the sedimentary rock, they added. It could then be released during energy shortages, powering a turbine to generate electricity and feed into the grid, according to the research published in the journal Nature Energy. "This method could make it possible to store renewable energy produced in the summer for those chilly winter nights," Julien Mouli-Castillo, one of the project’s researchers, said. 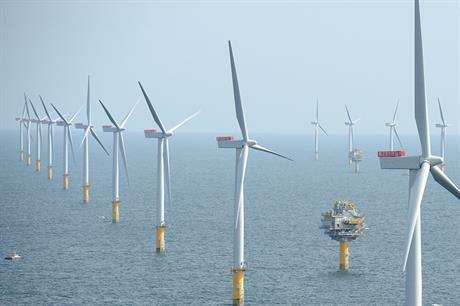 The researchers used mathematical models to assess the potential of the process, called compressed air energy storage (CAES) and combined these estimates with a database of North Sea geological formations to predict the UK’s storage capacity. They found the potential storage capacity is equivalent to approximately 160% of the UK’s electricity consumption for January and February 2017. Mouli-Castillo from the University of Edinburgh’s School of Geosciences added: "More research could help to refine the process and bring costs down." Locating wells close to sources of renewable energy, such as offshore wind farms, could make the process more efficient, cheaper, and to reduce the number of undersea cables required, the research team suggested.